The world before it being discovered, the individual societies across the globe lived a life, free of aggression and occupation by others. Every society that lived had it’s Rulers either Monarchies or Tribal Leaders to fend and protect their subjects. Once the world was discovered there started Trade and Colonization of the weaker by the stronger. Wars have been waged between countries for supremacy, dominance or Religious reasons. Thereafter the Monarchies have been replaced by elected bodies to govern with the birth of Democracy, while some countries opted for systems of Communism and Socialism as opposed to the former. The present day America is one country that have been plundered from it’s original inhabitants by all those invaders who Colonized countries across the globe then and their progeny that constitute the majority of it’s citizenry. Hence modern America, boasts of a History of a little over two hundred years, while today the US has become the major supper power after the collapse of the USSR. The US today acts as the self appointed Guardian and Policeman to foster a form of Democracy they believe is right to suit their agendas, ably assisted by their allies with no other country standing up to it openly. The US virtually dominates the whole world. Although the US professes to safe guard Human Rights, Democratic Freedoms including Media freedom in all countries especially of those under the UN charter, they are absolutely silent when these very basic norms are violated by their brief carriers whom they have helped to elect to govern, as ours. On the one hand they allow Journalists and those who dissent to be killed by their brief carriers and offer Asylum to others to show how magnanimous they are and their Democracy is. America did not become the Power it is today by means of being truthful and honest. They have manipulated every country fostering and supporting wars, committing acts of Terrorism, forcing countries into strife, societies torn asunder with racism thus creating fear and panic in such societies leading to even financial ruin. They have even waged wars with their allies against other countries with false pretences to merely strengthen their economic hold on the global oil market. The US has sacrificed tens of thousand of their own Forces personnel in these exercises, while countless numbers have perished in other countries as a result, thanks to a coterie of Zionists who run the US. These Zionist forces in the US have been undermining legal governments of other countries for the public to lose their trust, thus allowing the Rebels to take over. First the US boosts the leaderships and then drops them allowing the masses to revolt and overthrow them. Shah of Iran, Ferdinand Marcos, Idi Amin, Saddham Hussain, Mohamed Gadaffi are just a few to mention. Countries as small as Maldives have not been spared of American Intrigue. It is not very long ago the US attempted to topple the leadership of Russia and China. At the same time the US have even allowed Dictatorships to take over which they have funded secretly, provided the Dictators were willing to work with the US conspirators, although outwardly they level charges at each other for public consumption. Otherwise no leader in any country would have survived without the US support, let it be Fidel in Cuba or Shavez in Venezuela to rise. This Zionist lobby in the US, have not spared even the US Presidents to work on their own, starting with the assassination of Abraham Lincoln in 1865. Since then they have been responsible for many an assassination of Political leaders of other countries and their own with the Kennedy brothers. Rajiv Gandhi and Zulfikar Bhuto also looks the handy work of this group, although committed by forces outside. These Zionists have coerced, bribed and blackmailed Leaders of developed countries including the EU to award large contracts to selected Companies. They decide who does what in the world financial body. A fair description of their modus operandi was detailed by Gordon Duff, Senior Editor of ‘The Daily Telegraph’ when Media Tycoon Rupert Murdoch was arrested. 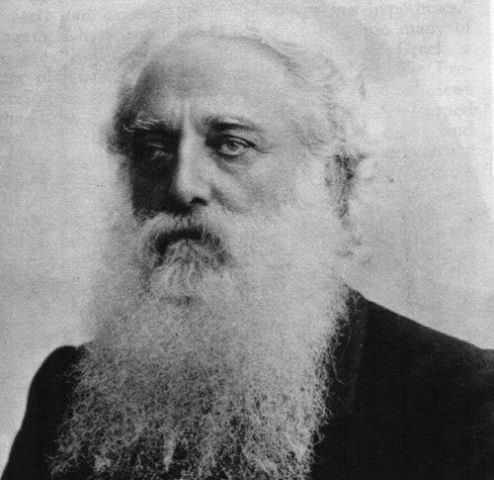 To illustrate the issue further, it was in 1880 that Colonel Henry Steel Olcott an American military officer, who assisted in the investigation of the assassination of Abraham Lincoln, came to Sri Lanka, seeing the pamphlets of the debates of Migettuwatte Gunananda Thera, to revive Buddhism. This Henry Steel Olcott had also functioned as the Special Commissioner of the War Department in New York. In addition he was also a Lawyer and a Journalist. 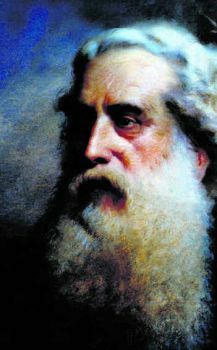 Today Henry Steel Olcott is held in high esteem by the ‘Olcott Buddhists’ in this country, for his contribution in designing a Buddhist Flag and building a number of Buddhist Schools as Ananda College of Colombo, Mahinda College of Galle, Dharmaraja College of Kandy and Maliyadeva College of Kurunegala to revive Buddhism in Sri Lanka just the same way, the US today has extended patronage to the Bodu Bala Sena to preserve Buddhism in the Country. This Bodu Bala Sena not only has attacked the Muslims but also the Christians, yet the Americans do not seem to mind as long as their agenda is met. When Olcott came over to assist Migettuwatte Gunananda to revive Buddhism in Sri Lanka, in the late 19th Century, Buddhism has been practiced by the majority Sinhalese in the country for over two thousand years. The Sinhala Buddhists then, by and large were not Un-Buddhistic or leaving the fold for anyone to revive Buddhism. The Sinhalese Buddhists then were truly religious, compassionate and a tolerant lot of people, very accommodative of other faiths and ethnicities. The YMCA has been built on Malwatte property and the Meeramakkum Mosque built on the Asgiriya temple property, Kandy being the high seat of Buddhism shows the extent of tolerance the Buddhists then have displayed. The conversions to other Religions, especially to Christianity were very few by those family members to pursue education for employment. Then again there were many Buddhists who subsequently qualified pursuing education in the Christian Missionery Schools, not having to change their Religion, but were absorbed in to the Administrative system without bias to hold high office, by the British who ruled then. Yet some of the Buddhists agitated for better and more recognition to the Buddhists over others. The general cry was that the Buddhists were persecuted by the British. This would have appealed to many as the truth, but when one sees the number of Buddhist from down South who became Academics and Professionals under the British Education system to be employed as Govt servants under the British and again a wealthy class of Tavern Renters from the South who were Buddhists, to have ironically funded the first Buddhist temple, Deepaduttaaramaya at Kotahena to be followed by a number of other Buddhist Temples being built, in and around Colombo under the British Rule at that time, leads one to wonder whether the Buddhists were really persecuted? Further there is no record of a single Buddhist temple being shut or destroyed by the British at that time, although on the contrary many have sprung up in and around the city of Colombo, around aged old Bo-trees propagated by crows, all being unauthorized under British Rule, financed by the wealthy Renters. Migettuwatte Gunanada thera born to a rich Buddhist Salagama family from Balapitiya also have had no obstacles in pursuing his debates with the Christian Clergy either. Be that as it may, Kumari Jayawardene in her book ‘Nobodies to Somebodies’, describe well, how all these Sinhala Buddhists who were Nobodies before the British arrived, to have become Somebodies under Colonial rule to form the Bourgeoisie class in Sri Lanka, is indeed a challenge to this myth of persecution. Therefore what appears is that this Buddhist persecution has helped the riff raff who were Nobodies then to have become Somebodies today at the expense to the entire Nation creating internal conflicts for outside interference as seen today. Therefore looking back in time, it is very clear that if the Sinhala Buddhists were allowed to handle matters on their own as done before, this society certainly would have prospered where all citizens would have had a place today without the divisions and destruction it has been subject to, avoiding the interference from the very countries like the US that has sown conflict the world over to pursue their agendas. Besides the so called Revival of Olcott Buddhism has done no good to Buddhism nor it’s followers. The beneficiaries of the present set up may pooh pooh what has been said above as mere Conspiracy Theories. But if one ponders, using one’s common sense which is rare in this society, one could see how MR who was elected with the help of VP, obviously with the involvement of America who earlier tried to go with RW to have pulled the rug under his feet, in preference to elect MR to funnily annihilate the very LTTE. MR while on the one hand plays the Olcott Buddhist card to project him as the Saviour of the Country and the Buddhists who constitute the majority for support, permits the business interest of the West allowing Casinos and the Tourist Industry to wean all the Sinhala Buddhists to become Olcott Buddhists in the future. Budhism is Satanic, its Illuminati, Againts creator.. Henry Olcott, Darwin, Carl Mark, Lenin, Stalin, Hitler, Helena Blawasky loves Budhism as its so violent stating that “its time that take you to, and its not you who do, its a Karma” so no one knows what us Karma, but they do and its satanic. So Hilter killed 65 million peoople said that its not me who did, its a time and illuminations way… its Illiminati… Anto God. 1. So they want Col Olcotts American Buddhism. 2. They do not want the American Constitution, the Separation of Church and State. 3. They want Mara Buddhism, and given below is in support of my hypothesis. BBS,Budu Balu Sena, Sinhala Ravya and what the Mahanayakas practice is Not Buddhism. It is Monk Hegemony, in collision with the politicians. Given Below are some Comments on Buddhism. and here is what is the true Buddhism, NOT practiced by monks. IF there is Almighty, it every thing happens on Earth is Almighty’s wish why there is so much may hem on earth. The stupid thing even in the western society, they say one is responsible one’s actions. At the same time they say every thing is Almighty’s wish. If there is almighty, if he/she/it responsible for every thing on earth, that Creater should be a lunatic. In that sense you are also ALMIGHTY because you created your own world. Other than than that there can not be and there is no reason for a creator to be. I hope that the comment above by Rod Atkins in NOT reflective of the general readership of the Colombo Telegraph. It is sad to see it being let go without dismissive comment. GAMINI HAS SAID IT ALL!!!! BRAVO!!!!!!!!!! You have a half of the article talk non-sense. the first three paragraphs are about America, WTF is that, How it is relevant to Sri Lanka ?. did you know that How Catholics came to Mahanuwara. they were killed by the Dutch missionaries. Because, then Mahanuwara King allowed them to settle there and establish their church. that is how buddhists treated Christians. At present, Christians and Muslims are competing to convert whole Asia and you don’t talk about that. they want to convert because, Christianity is doomed in Europe. It is the same in North America and it is going fast. Do you know the beginnings of the Theosophical society and why Colonel Olcott came to Sri Lanka ? Do you know how all the Portugeuse, Dutch and British side lines buddhists. When British discriminated against buddhists, buddhist monks had gone to THAI – KIng through whom they complained to British King. Now, Sinhala – buddhists are trying to keep their culture from the christian and Muslim Onslaught. Read if not go and learn How South Korean Christians are destroying South Korean buddhism. that is happening in many countries in the world. both Muslims and christians do the same. Sri Lanka also has some threshold, after that you guys will become really destructive against buddhism. See what Tamils have done to Buddhist sites in North. See HOW Muslims tried to destroy Somawathiys area and tried to build houses there. Why you can not see the others side ? Buddhists were persecuted for centuries. Why they can not rise against the onslaught ? Today the established churches are also concerned as the biggest converts of the new evangalists (vocal & full on) are existing Christians of established/traditional (light hearted) churches. Buddhism too replaced existing religions, traditions and cultures where ever it went. That Dharmapala omitted from this article was one big biggot. One cousin built the Panadura Weslyan church (Rodrigo-Goonawardana, Lesslie Goonawardana’a grandfather/father), the other the Panadura Rankoth Viharaya (Rodrigo-Dias, of Kethumathei walauwa, now hospital and Vishaka Vidhyalaya) and the chief sponsor of the debate. Both descend from a Chief of the Malwana Convention. An unethical conversion bill can challenge unethical conversions in court and put a stop to this competition, maintaing this diversity and status quo. Jesus was just a humanitarian. He fought for poor people in his time. What ever he preached was Traitors and anti-govt for ROMANS. That is why Jesus was nailed on the cross following the punishment given to traitors. Some how, Jesus’s movement became an underground movement. Then Roman politicians began to woo in order to be popular among people. See even the bible is written by many people, and there are many editions of the bible. ROD ATKINS says that Darwin is Satanic. But, ROD ATKINS does not know that Even the VATICAN has accepted DARWIN TO BE TRUE and Vatican says Catholicism is compatible with the Evolutionary theory. Carl MArx and Lenin are also WESTERNers and Their theory developed over the centuries as part of the Western philosophy and That theory uses CHRISTIAN IDEOLOGY. Any one who believes Eastern Philosophy would have never come up with that theory. So, when ROD ATKINS says Both those people are SATANIC either ROD ATKINS either does not know history he believes in Satanic religeons. The gist of the article is not whether Buddhism is Satanic and the other Religions are divine. For that matter Buddha never overturned tables at market places or tried to stop others consuming liquor or meat, which today his followers are resorting to. He even did not try to stop others from practicing their faiths either. Buddha was compassionate and tolerant. He explained that one’s salvation was from within one’s self and not by idol worshiping. Unfortunately today we have Idol worshiping, Merit collecting, Nirvana going, labeled Buddhists helped by Olcotts, Anagarikas, Gunanadas, Sumangalas, Rajapaksas, BBS et al. So please refrain from insulting Buddha and his Philosophy Buddhism. What is conveyed by the article is how outside forces as the US have been fishing in troubled waters promoting conflicts to achieve their agendas. Not only the US have promoted conflicts but also have been involved in hushing up Human Rights violations which they freely commit when it suits them fine. A clear case is protecting MR after dubiously getting him elected using VP and allowing MR to liquidate over forty thousand citizens who happen to be Tamils. Although there is enough evidence for a probe collected by Human Rights Organizations, the US will never permit a Probe, lest their involvement gets exposed. In order to cover their involvement they have brought watered down resolutions to show their Bonhomie. Imagine VP who helped MR to become President over RW, abandons his strong hold Kilinochchi, with enough bunkers for protection and access to buried heavy artillery, which were displayed at Deyata Kirula Exhibition, without a fight moves to a beach front, with no cover, to get massacred. Just before the massacre the Americans speculate that they tried to stop the War and save VP just to cover their involvement, but offer protection and comfort to the very individual responsible, Shavendra Silva in the UN Office itself? Why did the LTTE bury their weapons and hyped a war with MR that never was? If there was no fight for their strong hold Kilinochchi, is one serious there was a fight for the lessor known/important places? If there was a war why did the last fight not take place at Kilinochchi where VP had his own bunker and so many other bunkers as cover for the rest? No the LTTE abandoned Kilinochchi, gifting the bunkers for MR to film for publicity including that of VP’s. What a bloody JOKE that the gullible in this country have been sold to project this FRAUD MR as a war victor helped by the Americans and the Indians. Gamini, you are giving far too much credit to US for a big role in the Tiger conflict outcome. Sure, we can safely assume that they provided intelligence to the govt. Beyond that you seem to have a highly bloated picture of US interest in a puny little third world country sitting next to the giant India. The few good points you made regarding the obvious pollution of Buddhism in SL gets lost in your senseless ranting against the US. Chandra, when George Bush put his arm around RW with financial assistance for upholding the Liam Fox agreement what did you understand about the world interest in this tiny country. What happened to the undertaking India offered RW, for CBK not to topple RW govt. When she did, whom was India wooing other than MR. Would RW’s protest have been heard about the Indian undertaking or the Presidential election itself being flawed where the Northeast was prevented from voting? Thereafter has not America who helped MR in the first place to be elected President, by getting VP’s support, helped MR also to annihilate a section of the LTTE along with VP? Has not America being shielding MR and the Military of any War Crime probes since? although quite many are crying for it? Have not MR delivered on many fronts which the UNP under RW or any other would have found difficult to establish Private Universities, Gaming Centres for large scale operation for future. Remove the shanties, the poor from the city to give a face lift to the Capital to boost the country for foreign investment in the future? Remove subsidies and determine prices at current market level for everything without strike action? Consolidate power in the hands of the Executive for their choice in the future? It appears that, America nor India minds the 13th Amendment being repealed, except the fact India just can not do so now till their elections are over next year. Just hold your horses and see what happens in the near future. Is it possible to know the full ame of the author please?